How to level an entire city and destroy a nation. London, Jan 22 (IANS) A village in Afghanistan’s Kandahar province has been completely wiped out of the map after an offensive by the US Army to get rid of the Taliban militants in the area, a media report said here. Tarok Kolache, a small settlement in Kandahar near the Arghandad River Valley, has been completely erased from the map, according to the Daily Mail. Taliban militants had taken control of the village and battered the coalition task force with home-made bombs and improvised explosive devices. After two attempts at clearing the village led to casualties on both sides, Lieutenant Colonel David Flynn, commander of the Combined Joint Task Force 1-320th gave the order to pulverise the village. His men were ‘terrified to go back into the pomegranate orchards to continue clearing (the area); it seemed like certain death’, Paula Broadwell, a West Point graduate, writes on the Foreign Policy blog. Instead of continuing to clear the tiny village, the commander approved a mine-clearing line charge, which hammered a route into the centre of Tarok Kolache using rocket-propelled explosives. The results of the offensive were adjudged to have left ‘NO CIVCAS’ – no civilians killed, the daily said. But with Tarok Kolache bombarded with close to 25 tonnes of explosives, assuming some collateral damage does not seem unjustified. Analysts have not been able to assess the impact of the bombing on civilians due to security concerns. However, it has been agreed that ‘extreme’ operations such as the destruction of an entire village are likely to have a negative impact on attempts to improve coalition-Afghan relations. 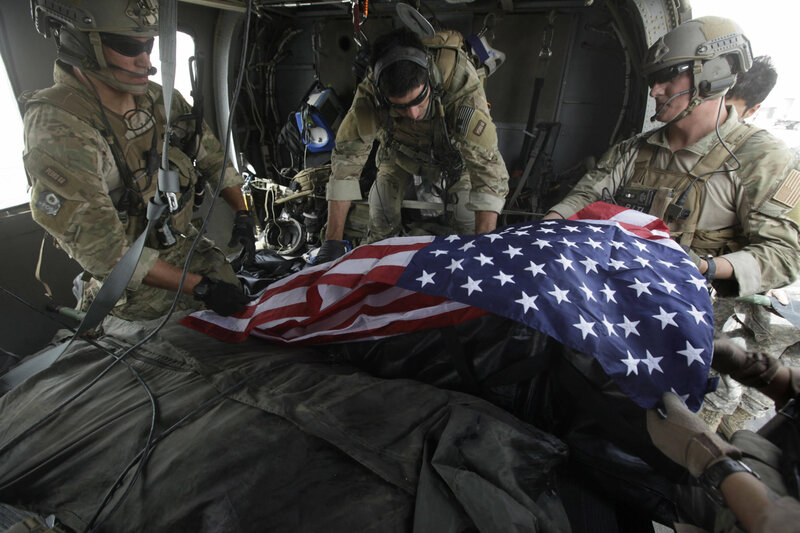 The erasure of Tarok Kolache was exactly the type of behaviour that would deal a body blow to Afghan acceptance of the presence of the International Security Assistance Force, Erica Gaston, an Open Society Institute researcher based in Afghanistan, was quoted as saying. ‘But for this, I think (NATO) would have started to get some credit for improved conduct,’ Gaston wrote in an email. ‘Some Kandahar elders (and I stress ‘some’, not ‘all’ or even ‘most’) who had initially opposed the Kandahar operations were in the last few months expressing more appreciation for ISAF conduct during these operations, saying they had driven out the Taliban and shown restraint in not harming civilians. According to Broadwell’s post on Foreign Policy, US military commander Gen. Petraeus has approved $1 million worth of reconstruction projects but also told his commanders in the south of Afghanistan to ‘take a similar approach to what 1-320th was doing on a grander scale as it applies to the districts north of Arghandab’. KABUL, Aug 30 (Reuters) – As the conflict in Afghanistan deepens, with more foreign troops fighting and casualty tolls rising against a bolder Taliban-led enemy, a parallel battle is being fought to win the hearts and minds of Afghans. Despite vast, sophisticated resources at their disposal, it is a battle some analysts fear NATO and U.S. forces can’t win. “In my opinion NATO is making a monumental mistake,” said Kabul-based political analyst Haroun Mir. “No matter what policy NATO might adopt, they are losing the trust and respect of the Afghan population because Afghans consider the Taliban the winners of this war,” he told Reuters. That view was supported by a July poll by the Kabul-based International Council on Security and Development that showed the NATO force was failing to win hearts and minds and that most Afghans in Taliban heartlands viewed foreign troops negatively. Since taking command of U.S. and NATO forces in Afghanistan in June, General David Petraeus, the master of counter-insurgency tactics honed in Iraq, has stressed that the key battleground in Afghanistan will be what he calls “the human terrain”. Many U.S. military officials feel the NATO-led International Security Assistance Force (ISAF) must do better at heading off Taliban propaganda by speaking directly to Afghans, seeing such “strategic communications” as part of the larger war effort. It is no coincidence that, since Petraeus took over, media outlets have been flooded with media releases every day, many more than ever before, detailing the successes of Afghan and foreign forces and the perfidy of the Taliban-led insurgents. ISAF sent more than 20 media releases on Sunday from their 24-hour-a-day media unit. No doubt these are fairly straightforward counter-insurgency tactics but, analysts say, what is interesting is that the Taliban have been doing the same for much longer. On Sunday, the Taliban went so far as to suggest holding a news conference to counter Petraeus’ assertion last week that his forces were making progress, an unprecedented move since the Islamists were ousted by U.S.-backed Afghan forces in late 2001. It was their second media release in four days, somewhat unusual for a group which banned television and computers during their rule from 1996-2001. 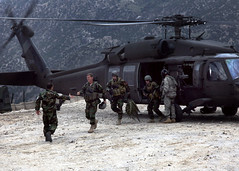 The Taliban’s tactics have not gone unnoticed by ISAF. “One way of tackling this issue is to undermine the Taliban’s influence in society,” said Kamran Bokhari, regional director for global intelligence firm STRATFOR. Earlier this month, ISAF issued an extraordinary media release in which an unidentified “senior ISAF intelligence official” denounced the Taliban’s “attempt to manipulate the media in order to misrepresent the truth”. The official said the Taliban used a “formalised network”, overseen by Taliban leader Mullah Omar himself, and which included spokesmen who usually give names like Yousuf Ahmadi and Zabihullah Mujahid. Those spokesmen, he said, worked directly with “external malign media support, which is largely comprised of sympathetic media outlets”. The Taliban usually communicate by telephone, their spokesmen calling reporters from undisclosed locations. They are quick to claim credit for attacks on foreign forces, whether they were involved or not, and usually inflate casualty figures. They are equally quick in their attempts to discredit foreign troops when civilian casualties are involved. Regardless of how untrue that information might be, analysts say there is little Western forces can do to counter it. “There is only so much that they can do to improve their standing among the public because of certain structural problems, the key to which is the perception that Western forces won’t be in the country for long,” Bokhari said.